Wow I really don't know how to handle all this news. In some ways it sounds good, and I'm glad Sesame has finally got some big backing. However I'm still worried about how that will work. I thought that one of the main reasons that Jim Henson and Disney could not come up with a deal in 1990 was the fact that Disney wanted to also have control of Sesame. Now so many years latter they are going to be under control of HBO??? It just seems really off to me, but I hope that they will not try and change things to much. I also find it kind of sad that a show that when it was first started was targeted to inner city kids is now being on a more expansive cable channel. 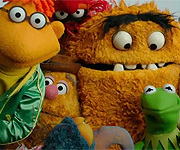 sesamemuppetfan and CensoredAlso like this. I just saw the news on NBC and I've stayed up to date on all the changes such as Sonia's retirement and the change of the set, but I didn't know that it would switch networks. So does this mean it will just be reran on PBS for five years? That is a big chance especially since SS has been on PBS or NET before it was PBS. But on the other hand, with everything changing, maybe they want kids who've watched the show on PBS for years to stick with what they're used to. I don't know. Another question is whether or now we'd still be able to see the show online. Since I don't get HBO, I thought I'd check on that. Okay. Quick edit. I reread the post, and they're saying "nine months." For a few minutes there I was thinking "nine years." So that implies that SS will remain on PBS for season 46, just not as soon. Still, it would be nice to see the shows when they originally air so we can discuss them on the forums. 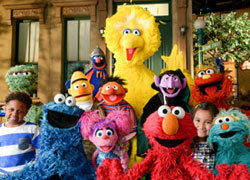 SESAME STREET IS NOT LEAVING PBS. New episodes are simply premiering on HBO first, then a little while later on PBS. That's all. People without HBO will still get to see the new shows. Kids probably won't care/notice if the shows are new or not. Thanks for that info, Oscar. That's what I thought when I reread the first post, but it's good to reiterate that. I have to agree with mr3's comment as well the last few years they never really had more than a half hour worth of new material, so decreasing the length of time of the show doesn't seem to be that big of a chance. If that had happened back in the 80s, that would definitely be a much bigger issue. I suppose for Sesame Workshop, this is the best thing to happen to them financially. Going from 25 to 35 episodes a season is a significant upgrade, and perhaps the 30 minute format will allow for more fresh ideas to come in rather than a repeating of segments (allowing that some repeating is a show tradition). However, not being first-run immediately on PBS raises some questions. Perhaps the show's goals have changed in the 46 years since it premiered. I'm not an expert on education, but perhaps the prevalence of pre-K programs and classes has increased so much that the show has outlived that specific goal of providing that to communities where it wasn't available. I don't know how common Head Start programs and the like are across the country. So the show maybe is more of a supplement to the early childhood education rather than the education itself nowadays, and SW decided it could still reach a large audience through HBO/HBO Go/YouTube and eventually PBS and the money was too much to pass up. The delay in the first-run episodes being put on PBS is rough, but sometimes you have to take a deal even if it's not perfect. Plus you can't pass up a five-year commitment. OK, so basically the Season 46 episodes are gonna air on HBO first and then come to PBS 9 months later? After letting that sink in for a minute...I have a question for all you lucky devils who do get HBO: Do they usually put new episodes on their website after they air on TV? Some good points - as I've said, my main concern is that this won't be reaching the free public airwaves right away, but it's true that if PBS goes belly up there does need to be a venue, but as one poster said, the Disney family of channels is a much more logical fit, even if there is an HBO Family. But, if the Youtube stuff is SW's main vehicle now, maybe it and the website will be the wave of the future anyway. Since I onlyi get 20 channels on my basic package, being on Social Security Disability(actually, I don't even get ESPN, so my joke about them doesn't really apply ) it seems very disconcernting for them not to try to put it on a more accessible channel right away. So, yeah, I could be wrong about this, but that's one reason my Subway fresh take (Okay, getting too ESPN Radio here ) was more on the humorous side than outright disgust. Sort of like when you figure a team will finish below .500 and they win the World Series. And, being close to giving up TV altogether, maybe it won't matter to me anyway, I watch so little of it. Yes, and the typically keep the entire series up. They still have all the Flight of the Conchords episodes up. Well, the nice thing is this may give some human characters a chance for more airtime. We know that Maria's gone, but we may see more of Susan and Bob. Just a thought. Thanks for letting us know, Oscar. I think with that said we can probably still discuss the eps on the forum when they originally air. That's always been my system of watching a show on a channel that I don't get, looking for it online the next day. We should also be so lucky: Sesamstraat suffered a similar fate, going from 30 minutes to 15. And from what I've seen, the format works fine for them. I certainly didn't see this coming at all. This is truly a sign of the times...Sesame Street pioneered children's TV programming, and now it's a 30-minute program, just like dozens of other TV shows it inspired. It's also a statement about children's attention spans these days. But what is even more surprising...HBO?! Sesame Workshop is in such a dire financial situation that it has to sign a deal with HBO to continue generating revenue? DVDs certainly don't cut it anymore. I took a look. Is it fair to assume that any episode of any series as to be watched via HBO NOW or HBO GO? Typo: any episode of each series HAS to be watched via HBO NOW or HBO GO. So to rephrase in detail...I just went to HBO.com, picked a random show ("True Blood"), chose an episode, clicked on "WATCH", and then was given the choice to "stream my favorite HBO programs" with either HBO NOW or HBO GO. Oh, I have no idea. I use HBO GO directly. Does Sesamstraat have a similar format to the current American Sesame Street, or is it more like the pre-2002 format? Wow... I really don't know what to say about this. It really shocks me that they're switching to a half-hour length after being a full hour for pretty much its whole span, but leaving PBS, even temporarily? This whole thing goes beyond words.